Since there was a huge expectation for this film and none of the heroes were ready to release their movie. Uzhaippali was one of the good hit in Rajnikanth carrier as well as very important film. Superstar met so many obstacles and faced critics through this film. Vijaya Vahini Movies produced this film after few years gap. Director P. Vasu directed this film after the grand success of Mannan. Unlike a remake film, Vasu penned the original story based on MGR formula film ENGA VEETU PILLAI. Exactly on the 100th day of Pandiyan film, there were tussle between the distributors and film stars. During the debate, distributors urged the producers to control the film stars salary. All the stars including our Superstar were invited and discussed about this issue. During the mid of the session, Rajni sir suddenly stand and replied to the distributors that he was not ready to reduce his salary and consider other options. He simply said and went away. This has become very big issue and distributors decided to impart a RED CARD on our Rajni sir and also announced that in future Rajnikanth films will not be distributed. This problem has become highly talkative of Tamilnadu and happened during the month end of January. At that time, AVM’s Yejaman was ready for release hence AVM Saravanan requested the distributors that we have announced the release date hence this RED CARD system shall not impart for their film. They also agreed the same. During that time, Rajini became headlines of Tamil Nadu. Everyday, you will see Rajini related news. All the co-stars arranged for a function to support Rajini with regard to distributors’ statement against Rajini and his film. This issue was brought to the attention of Chief Minister Jayalalitha and it was resolved amicably few days before the release of Uzhaipazhi. It is very important to note the film NSC rights released by our Thalaivar distribution co. RAMANA FILM DISTRIBUTORS. 5-2-1993, grand pooja for Uzhaippali was held at Vijaya Vauhini studio. The poojai was conducted even though the distributors not willing to distribute the films and the red card against Rajini was not removed. Entire film personalities were invited and the media covered the news in an exclusive manner. (Rajini shooting after the Problem) a 4 page articles and news published on that day. Vasuki Magazine published a 2 page uzhaipazhi poojai article and it was titled as “5 KODI NAYAGAN” (5 Crore nayagan). During the pooja day, veteran producer B. Nagireddy presented 101 gold coins to Rajini and blessed him. On the pooja day, production house published exclusive ad without any photos and it stated as “UZHAIPPALI INDRU MUTHA UZAHAIKA THODANGUGIRAR”. Production house magazine BOMMAI did a special supplement on UZHAIPPALI fully in colour. It was very much attractive. Inside the supplement, the entire film unit members gave an exclusive interview about the film. Vasu has completed the film in 58 days and film was announced for June Release. During the production of film, production house did a very good publicity in Medias and papers. Especially on festival holidays like Pongal day and Tamil New year day, they gave special advertisements in the papers. It was very much attractive. Audio Release function was held at Vauhini Studios in very simple manner. Special guests were Chiranjeeve and Balakrishna. Overall the music was attractive and did good sales. After the audio release, the songs were played in Vivid Bharathi. Production house promoted the songs by requesting P.Vasu to brief on the song and the film. Apart from 8 songs, ORU MAINA KURUVI song was SUPER HIT. Also you could notice dancer Lawrence appeared as a dancer in group song of MUTHIRAI IPPODU. At that time no body knows about it. Since distributors had red card against Rajini, there were number of theater owners ready to release the movie without going through distributors. Rajini have not forgotten them and until now he gives priority to these theaters. The film opening reservation was fabulous and all most 15 days House full in reservation day. The opening report was fantastic and became talk of the town. At Trichy, it was released in 3 theater such as Ramba, Oorvasi and Kalaiarangam. Initially it was only 3 but due to public demand it was screened in Maris noon show. Thirvarurur- Thailammai theater. Uzhaipazhi broke Thalapathy, Mannan, Annamalai, Pandiyan and Yejaman within 50 days (Rs5, 19, 369.70). Salem theater owner Subramanian appreciated the box office of the film and told that the film managed to attract ladies and they issue more tickets separately for ladies queue. In kerala, the film did great business and crossed 50 days in 10 centers and ran 100 days in 1 center. The film lately released in Karnataka cities on 08.04.1994. On the whole 21 theaters released. This film was released in overseas too especially in Singapore and Malaysia. In Singapore, it was released at Hoover Theater and ran more than 30 days. At Malaysia, it was released more than 20 theaters and did a decent business. All most every media gave excellent reviews except Kumudam and Vikatan. They had some different thoughts and criticized the movie. In the daily ad also they have mentioned as VIMARSITHU VELICHAM KATIYA PATHRIKAIGALUKU NANDRI. Makkal Kural: highlight of the review: P.Vasu happy because of good response. 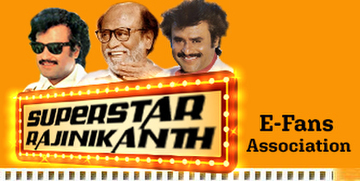 Rajini gone up in box office. 1 full big complete page amazing review. Kalkandu: SAMALIPPALI: Please note you can’t expect a positive review in this Kalkandu. They have appreciated this film especially Rajini and Vasu. As you all knew that during end of the year, all the papers will analyze the movies of the year. On 2.1.1994 Maalai Malar rated Uzhaippali as one of the most talkative movie. They have narrated the best scene in the movie YESTERDAY COLLIE, TODAY ACTOR BUT TOMORROW?? It was a highlight of the movie. If some other actor gives such a hit movie definitely they will celebrate 100 days function. Director Vasu also had a plan and he discussed with Rajini but our Thalaivar gently told that this film released with lot of problems, tussle, hence he doesn’t want to hurt those who are involved in the problem during the movie release. He refused to have the function. But our fans celebrated 100 days functions at Chennai, Trichy, Nellai and Madurai. You could see the Victory shields at the theater showcases like Chennai; Albert, Abirami, Kamala, and Nellai: PVT, Madurai etc. In-spite of CD, DVD, and Private Cable channels, DTH channels this film had screened many times but even though the film again released in 2000’s.